For the first time in the seventeen-year history of the Canadian Science Fiction and Fantasy Awards ("the Auroras"), the same author has won both the prize for the Best English Novel of the Year and the Best English Short Story of the Year. 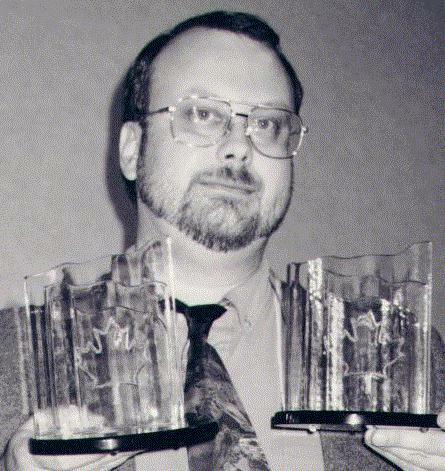 ROBERT J. SAWYER of Thornhill, Ontario, won the Aurora Award for Best English Novel for Starplex (ISBN 0-441-00372-9, published in October 1996 by Ace, the science-fiction imprint of Penguin Putnam USA; distributed in Canada by BeJo Sales of Mississauga). 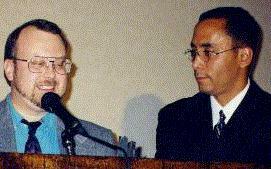 And Sawyer took the Aurora for Best English Short Story for "Peking Man," first published as the lead story in the 1996 anthology Dark Destiny III (Edward E. Kramer, editor; published by White Wolf Books of Clarkston, Georgia). The Auroras were presented Saturday night, November 1, at a gala banquet in Toronto. Sawyer was presented the short-story award by renowned Canadian actor Chris Wiggins, best known as the star of the syndicated TV series Friday the 13th and CTV's The Swiss Family Robinson. The best novel award was presented to Sawyer jointly by actors Bruce Gray, star of Traders, the highest-rated Canadian television drama currently in production, and Richard Biggs, who plays Dr. Stephen Franklin (pictured) on the popular American TV series Babylon 5. Sawyer's Starplex was also a finalist for the Science Fiction and Fantasy Writers of America's Nebula Award, and the Hugo Award, SF's international people's choice award. In May, it won the Homer Award for Best Novel of the Year, voted on by the 30,000 members of the Science Fiction and Fantasy Literature Forum on CompuServe, the world's oldest online computer service. Starplex tells the story of the discovery of an ancient and apparently abandoned network of interstellar shortcuts or stargates that gives humanity access to the entire galaxy. During first contact with a newly discovered alien race, the human, dolphin, and extraterrestrial crew of the vast research vessel Starplex is sent on a mind-bending adventure that covers millions of light-years and billions of years. Along the way, Sawyer addresses virtually every question in modern cosmology, including the origin and ultimate fate of the universe. "Peking Man" was written to honor the 100th anniversary of the publication of Bram Stoker's Dracula. It tells the story of what really happened to the bones of Sinanthropus pekinensis  Peking Man  which disappeared during World War II. Auroras were also given for works in French. The winner of the Best French Novel Award was Yves Meynard of Longueil, Quebec, for his La Rose du désert (which is actually a collection of shorter works), published by Le Passeur. The winner of the best French Short Story Award was "Lamente-toi, Sagesse!" by Jean-Louis Trudel of Montreal. These awards were presented by two of the stars the TV series Gene Roddenberry's Earth: Final Conflict  Leni Parker, who plays the alien Da'an, and Von Flores, who plays FBI agent Sandoval. This year, a new design was introduced for the Aurora trophy. It consists of a black oval base, with three rippling Lucite sheets rising up from it, representing curtains of northern lights. The middle sheet of the three has a large maple leaf etched into it. 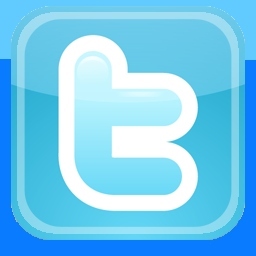 The new trophy design was created by Toronto sculptor Edward A. Charpentier. Sawyer, 37, is Canada's only native-born full-time science-fiction writer. He is the only writer in history to win the top national SF awards in the United States (the Nebula), Japan (the Seiun), France ((Le Grand Prix de l'Imaginaire), and Canada (the Aurora). His 1995 novel The Terminal Experiment won the Science Fiction and Fantasy Writers of America's Nebula Award  the "Academy Award" of SF  for Best Novel of the Year. Sawyer's latest novel, Frameshift came out in June from Tor, a division of St. Martin's Press. His ninth novel, Illegal Alien  a courtroom drama with an extraterrestrial defendant  will be published in hardcover by Ace later this month. The Aurora Awards are administered by the Canadian Science Fiction and Fantasy Association, a non-profit organization. The award trustees are Ruth Stuart and Dennis Mullin of Kitchener, Ontario. Each year, over two thousand nominating and voting ballots are distributed through Canadian SF specialty bookstores (such as Vancouver's White Dwarf, Toronto's Bakka, and Montreal's Nebula); with subscription copies of Canadian SF magazines (including the English-language On Spec and the French-language Solaris and imagine...); to all members of various associations for SF writers; and at over a dozen science-fiction conventions coast-to-coast. Any Canadian resident may nominate and vote for the best Canadian-authored works of the preceding year in both official languages. Different annual regional science-fiction conventions bid to be designated the year's "Canadian National Science Fiction Convention," or "CanVention," where the Aurora Awards are presented. 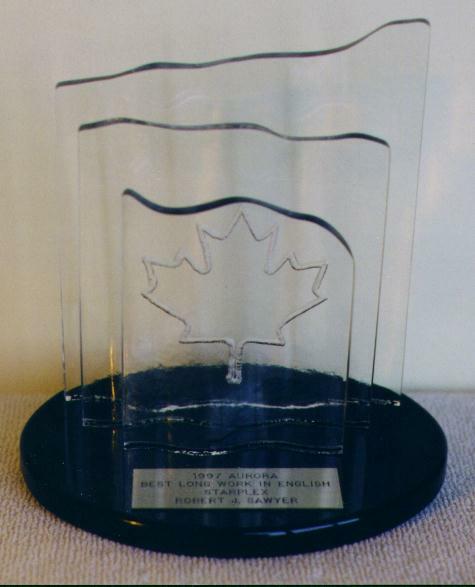 Last year, the convention Con-Version XIII in Calgary, Alberta, was the CanVention; this year, the awards were presented at the Toronto-area SF convention Primedia '97.